Mary from ForgetTheGym has created an Online Beginners Running Programme and a 10k Training Programme for all those of you who would love to run but cannot come to our classes. 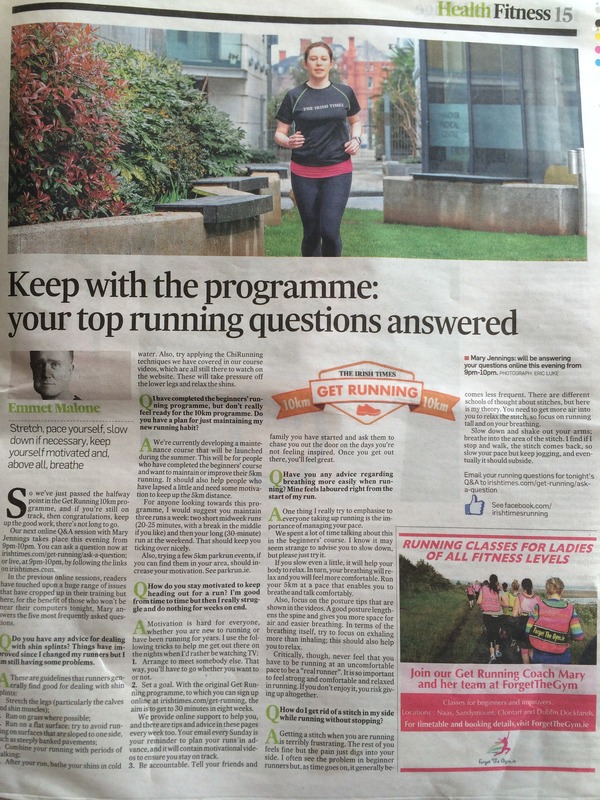 She has designed these programmes with the Irish Times and we are delighted to announce its launch in 2014. The beginners programme was designed based on the ForgetTheGym Learn-to-Run Beginners Classes, which so many of you have attended, and it has been adapted for an online audience. We had great fun filming the 8 week series in December, and look forward to getting lots more runners, at home and abroad out running this spring. Already we have over 13,000 new runners have signed up and are following the programme. The programme is FREE and is available at the Irish Times Website. Due to the great success of this beginners programme, Mary is delighted to announce the launch of the 10k programme in April 2014. This is an 8 week programme for anyone who is currently at 30 minutes running and would like to move up to 10k. The programme is also completely FREE and is available at the Irish Times Website. 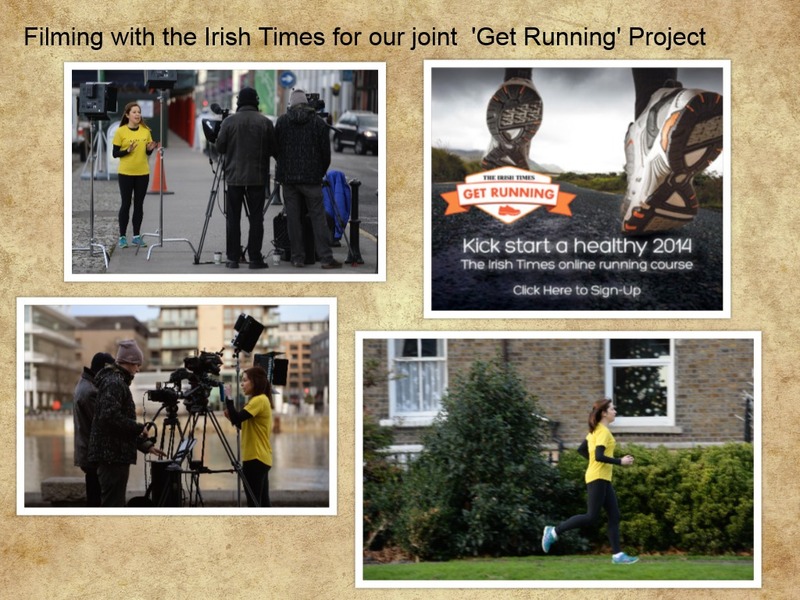 Following on from the success of this programme, Mary and The Irish Times have launched a ‘Stay on Track’ programme, for anyone looking to maintain and improve their 5k distance. “I started in February and just completed week 8 of the Beginners Programme last week. I could barely do the 1 minute run on Day 1 and now I can run over 30 mins non-stop (slowly) but non-stop. Love this program! Want to join in ? For any further questions, see Get Running directly for more information. Here are a few samples of the articles from the paper…..
Our workshops take place at the Clayton Hotel Cardiff Lane, beside the Bord Gais Energy Theatre in Dublin Docklands. 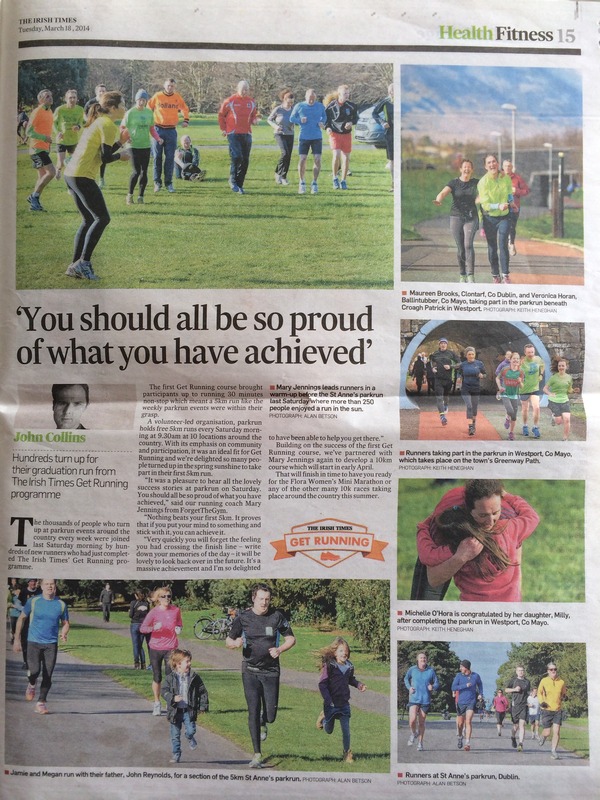 Chirunning events take place outdoors in local parks or at your club or venue.